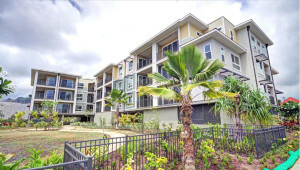 Ka Malanai, the largest new residential development in Kailua Town in 20 years, features six four-story condominium buildings, 153 units, and three spacious courtyards. This community was developed by D.R.Horton-Schuler and premiered in 2014. 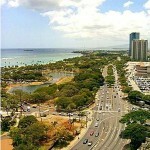 The tower’s location is surrounded by shops, restaurants, parks, golf courses, and even the beachfront. It only takes a few minutes to reach the ocean on foot, so residents often take advantage of the community’s shared storage for watersports equipment like surfboards and kayaks. 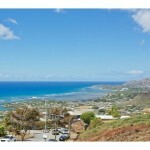 Extra storage is not the only plus here—Ka Malanai features a long list of community amenities. Ten areas designated for barbeque grills are spread across the courtyards, and there are few better ways to enjoy Hawaiian weather than an outdoor picnic. Residents also have full access to a circuit training course and state-of-the-art exercise equipment. The architectural details of the buildings themselves deserve recognition as well. Forward-thinking and modern design is found in the Masonite entry doors and the James Hardie siding and simulated stucco exterior. The development is also well protected with access control and intercom systems at elevators and common area stairs. Additionally, fire sprinkler and alarms are installed for safety, and developers have included preventative wood and ground termite treatment to combat the beautiful yet harsh tropic environment. Inside the stylish condos, the master suites feature double vanities, separate bathtubs and showers, and walk-in closets. Energy-efficient lighting and high-efficiency central air conditioning keeps residents comfortable without driving up electricity bills, and the contemporary appliance package include a dishwasher, a refrigerator, a microwave oven, and a washer and dryer set. The high ceilings and open layouts also provide the perfect environment for entertaining. 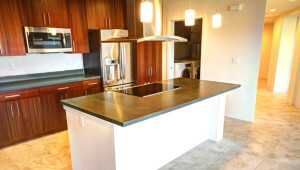 Each unit is unique according to the resident’s taste, and choices are given for flooring colors, kitchen and bath cabinet colors, and kitchen and bath countertop colors. More than eight floor plans are available, featuring one-, two-, and three-bedroom layouts ranging from about 700 to 1,800 square feet. The price for one-bedroom condos start at $600,000, two-bedroom condos start from $700,000, and three-bedroom condos start from $800,000. Parking garages are on the ground floor, with the upper three levels reserved for residential units. 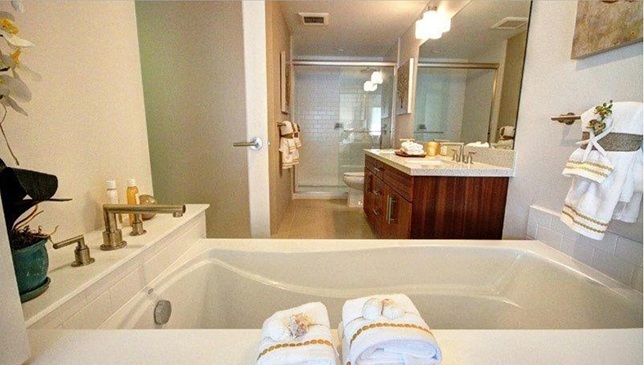 Ka Malanai captures the essence and tranquility of Hawaii in its design and natural features. In the open-air courtyards themselves, residents will find native Hawaiian greenery, flowers, and coconut trees. While living in a central and convenient location, this environment preserves peace in the otherwise rapidly developing neighborhood.